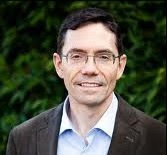 Euthanasia Prevention Coalition Euthanasia Prevention Coalition: Dr Will Johnston: It has become too easy to end patients' lives. Dr Will Johnston: It has become too easy to end patients' lives. Dr Will Johnston responded to the article by Dr Sandy Buchman in the British Medical Journal (BMJ) titled: Why I decided to provide assisted dying. Buchman claims that Medical Assistance in Dying (MAiD), better known as euthanasia, is patient centred care. Will Johnston's response was published in the BMJ on February 8. Links to a few stories of the failed experiment with euthanasia in Canada. Woman who dies by euthanasia, may only have had a bladder infection. Ontario Judge extends terminal definition for euthanasia. Mother upset after doctor her to approve assisted death for her daughter. Quebec moves toward euthanasia for dementia. Canadian woman seeks euthanasia from pelvic mesh pain. When should a doctor put on a DNR. When should a patient put on a DNR. Thank you so much for showing your LOVE beyond Valentine's Day, dear Dr. Johnston ! You deserve much love too! Thou Shall Not Kill People!